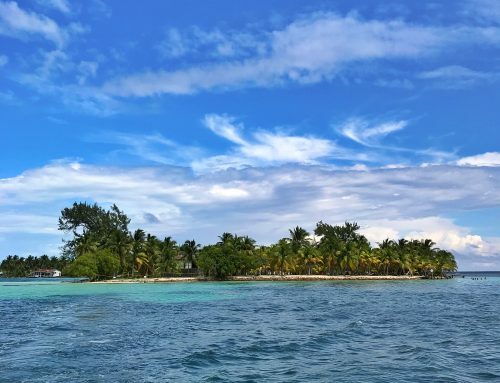 Belize is an incredible destination that is most certainly going to explode with tourists very soon. For now, it remains relatively untouched with only 250,000 visitors per year. We visited four districts in the country. The variety of experiences are endless. Lush jungles, rain forests, aqua blue water with white sand beaches and some of the best diving spots in the world. 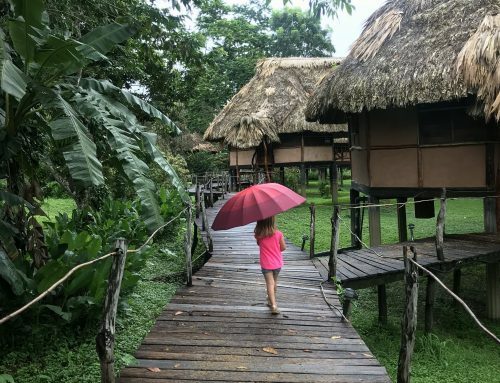 I am excited to share my guide to Belize with you, but first, here is a little background info. During our two and a half week stay, we met some of the most interesting people we have ever come across on our travels. Both expats that have made Belize their home for decades and locals. The common value is every one of them have such passion for Belize, the desire to share it with tourists and to promote it to the world. Its funny, because they want to have more visitors, but at the same time keep it a secret. I could sense the inner battle when I spoke with them. Luckily for me, they were all so generous in sharing hidden gems. Once a British colony and known as British Honduras, the first language is English. That made things very easy for us when it came to navigating and chatting with locals. 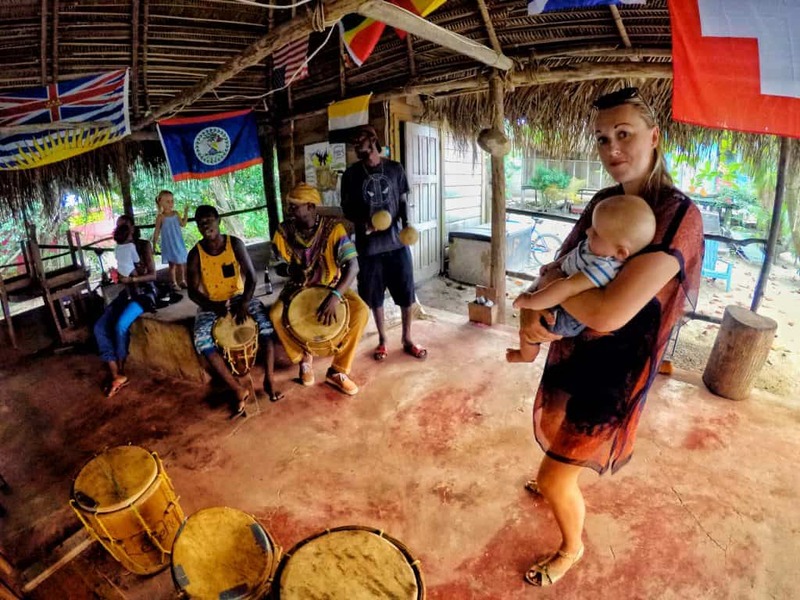 What surprised me the most about Belize is the cultural diversity of such a small country with a tiny population. Mayans, Creole, Meztisos and Garinagu being the most common of groups and from what I can see, they all live in harmony, respect and embrace each others cultural differences. Having hopped around to a number of different spots, there are a few things I would have done differently when it comes to our route. 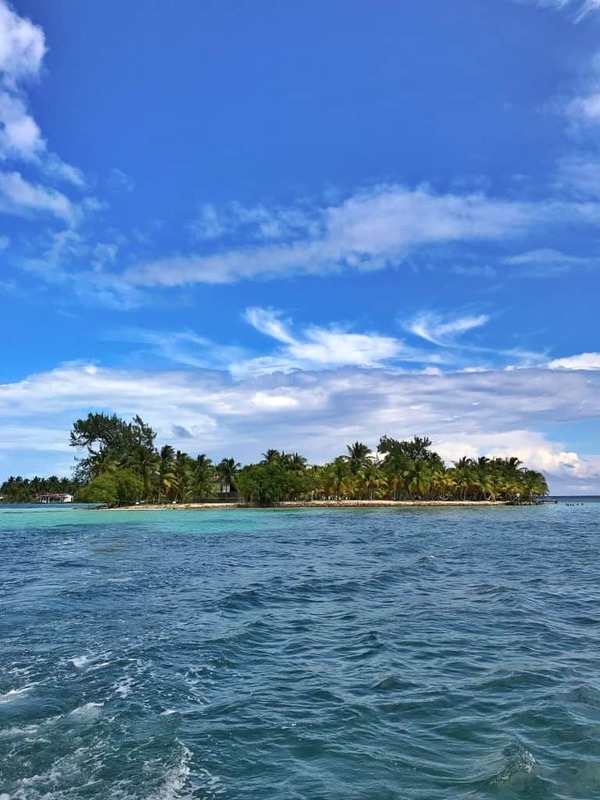 The best case scenario is to start with visiting the islands off the coast of Belize City. On return, rent a car on a round trip. We did not rent a car because we were crossing the border in the South and didn’t want to backtrack to drop it off. There was no option to drop off elsewhere. I think as a young couple or singleton it would be fine to use the bus as transport. However as a family with two young kids it would have been much better for us to have a car. This is how I would do it, if I had the time again! Belize City Airport is not too far from the ferry terminal. It takes about 25 minutes in a taxi and it’s really easy to pick one up outside the airport. I would make the islands my first stop. The ferry to San Pedro takes around an hour. We wanted to visit the islands to see the world renowned barrier reef and to have some relaxing beach time. Many people say San Pedro is quite touristy, but we didn’t see that so much. We stayed about 25 minutes out of town in the beautiful Portofino Beach Resort for four nights. It was the ideal location to visit some beautiful snorkelling spots within a few minutes, especially Mexico Rock. Whilst it was a quiet area it was also really easy to ride into town. Our time was spent snorkelling, swimming, relaxing, napping, eating good food and repeat! My husband had some kid free time one of the evenings and went on a night time fishing excursion with Go Fish Belize. He met the guide at San Pedro pier and they went out on a really chilled tour. He really enjoyed the evening and in his words, it was ‘good’ fishing. We did not have an overwhelming desire to stay in Belize City, however we wanted to break our journey on route to San Ignacio in Cayo. We stayed in a really beautiful period building. It was a two bedroom apartment in Renaissance Towers. It was a security gated building and had a big balcony with sea views, washing machine, dryer and everything you can think of that makes family travel easier. The apartment was massive with ceiling to floor French doors, big loungy sofa and really comfortable beds. Renaissance Tower is in a good location to reach some nice restaurants by foot. Just five minutes away is Midtown Restaurant. The food is great with big portions and it was very reasonable. You can always tell if a restaurant is good when it’s packed with locals! Other than strolling around town, we didn’t do too much in Belize City. It was more of a resting point for us. 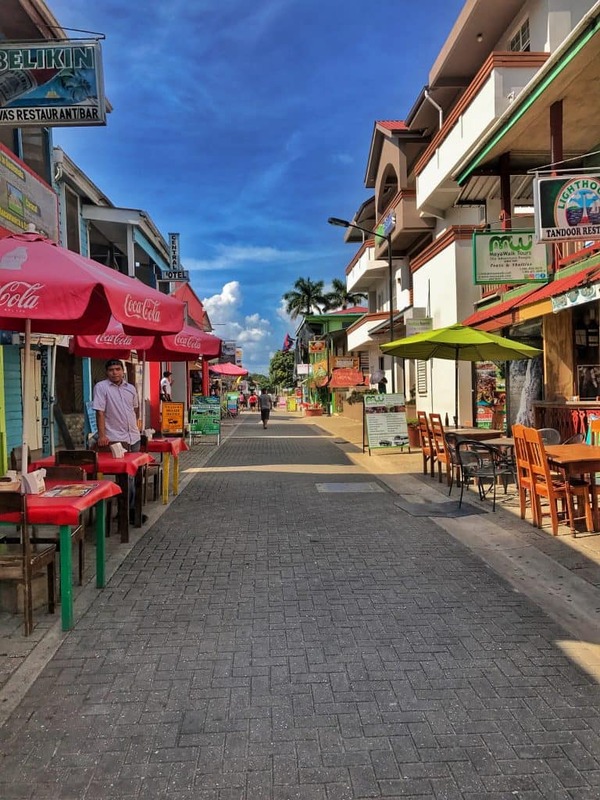 A couple of hours west of Belize City is the lovely town of San Ignacio. It’s a colourful little place with lots going on. Although it still feels quite authentic and unspoilt, it does attract tourists for its many activities, sites and adventures in the area. Out of all the districts visited, I felt San Ignacio had the most activities that were suitable and interesting for our three-year old. If I had to guess, I am sure she would say it was her favourite part of Belize. 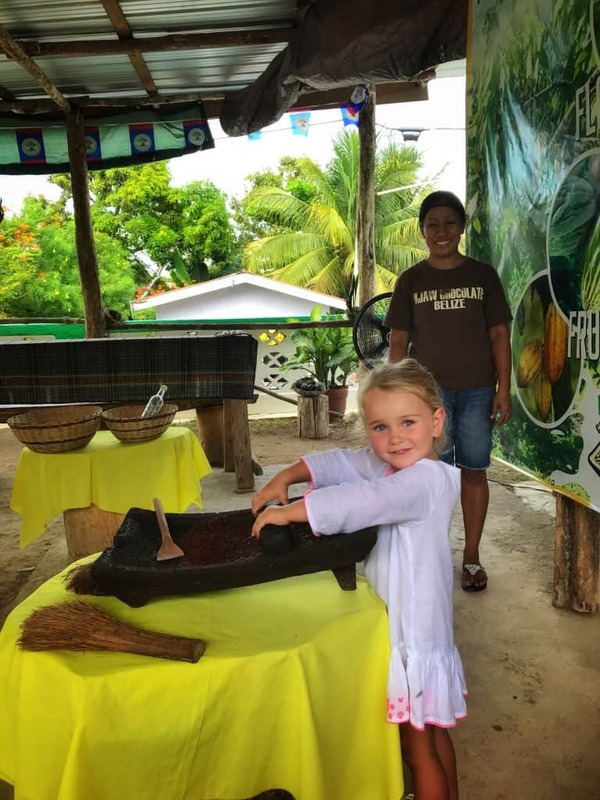 We spent an afternoon learning how to turn raw cacao beans into drinking chocolate at AJAW. The class is run just moments from the Main Street with an adorable family. They were great with Esme, allowing her to grind the beans and sample just about everything. This was also one of Travel Mad Dad’s favourite activities. The bonus was the warm chocolate drink at the end. Inside the San Ignacio Hotel, there is a conservation project underway to protect one of the countries beloved creatures, the iguana! We went to take a look along with the provided tour guide. He gave us lots of information about how they are trying to protect the species and we had a chance to feed them. Our daughter loved it. 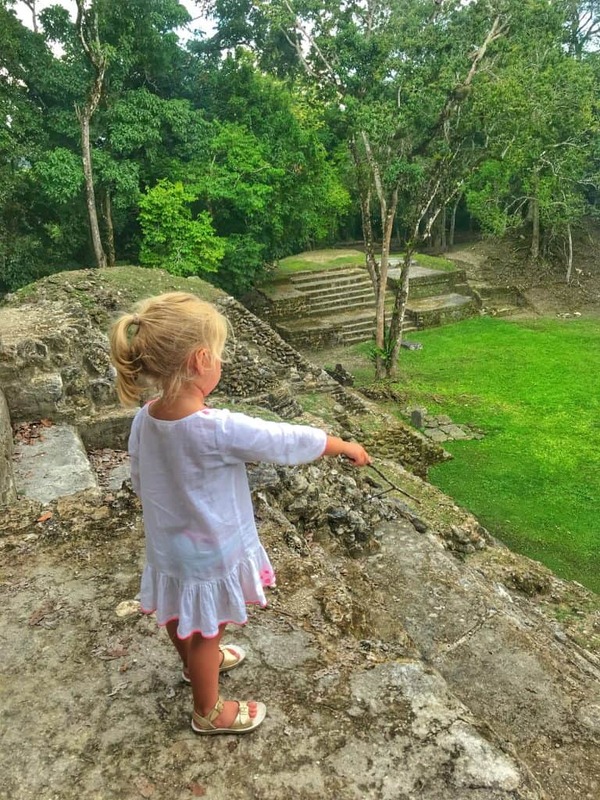 As we were travelling with two young kids, we wanted the easiest and most accessible Mayan Ruins. It was definitely something we wanted to do but we didn’t want to go on a really long excursion to do so. The Cahal Pech ruin is only a few minutes from San Ignacio town. We took a taxi up and walked back down because its on a bit of a hill. Although its one of the smaller sites, it was the perfect size to explore with little legs. Its so interesting to think how old these archeological wonders are! 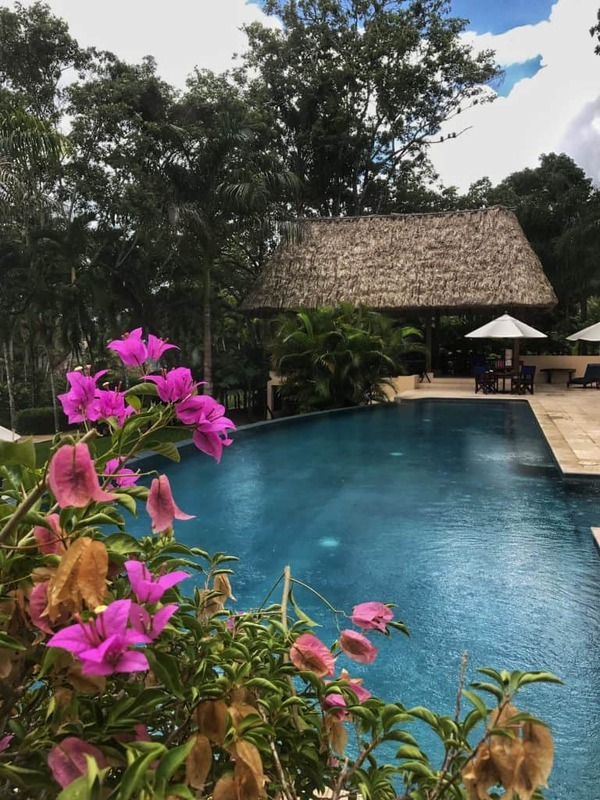 Chaa Creek is a wonderful resort that is around 35 minutes from San Ignacio. Based in the middle of the jungle, its hard to understand how anyone managed to build up such a beautiful authentic place. Wether you decide to stay or just visit, there is plenty for everyone to do, especially with kids. Have you heard of the mesmerising Morpho Butterly? A piercing blue colour? Aren’t they so beautiful. At Chaa Creek, they have their very own Morpho Farm. They are also doing conservation and research work. It’s incredible to see so many of them from all stages of the life cycle. We even saw some emerge from their pupa. We were given thorough information from the onsite guide. It was so interesting, I really learnt so much from it. 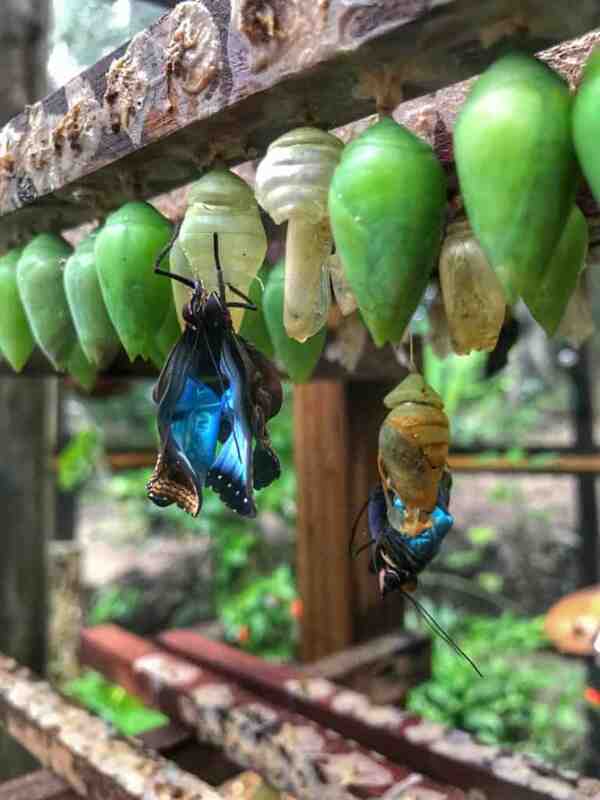 Funnily enough, I had been teaching our daughter about the life cycle of a butterfly just a week or two before. It was so awesome to reinforce the information in this way. As for our newborn, he was mesmerised by all of the blue colours fluttering around him. Chaa Creek provide onsite excursions and one of them is horse trekking through the jungle. We went when it was raining, however we hardly got wet because the track is mostly under the jungle canopy. It was majestic seeing their national bird, the Toucan in the trees above. There are over 300 species of birds in the area. It was a relaxed tour and our guide just followed our lead in terms of how much our tot was enjoying it. I asked some questions about the horses and it seems they are regularly rotated so they are not out trekking all day. They look well looked after which is really important to me as a conscious traveller. Chaa Creek consists of a number of beautifully decorated cabanas, a camp site and two super luxury villas. Whats great about the setup, is there is something for all budgets. We visited on low season and there was only one other couple onsite. We were very lucky to get an upgrade to the villa. Ceiling to floor, wall to wall glass sliding doors facing into the jungle, oh, and the private infinity pool! It doesn’t get much better than that. There was also a hot tub, outdoor shower and several sun beds to soak up the views. The modern design of the villas was incredible. I sat for hours listening to the birds chirping and watching the iguanas climbing in the trees. There is a restaurant and bar onsite, right next to the resorts very big infinity pool. The staff are all adorable and the food is incredibly fresh. I loved our mornings sitting in the cabana style restaurant, listening to the rain, enjoying the continental breakfast. The warm banana bread and fresh seasonal fruit was divine! Our second to last stop brought us to the village of Hopkins. There is a very strong Garginua influence in the area which is evident in all of the restaurant and bars. 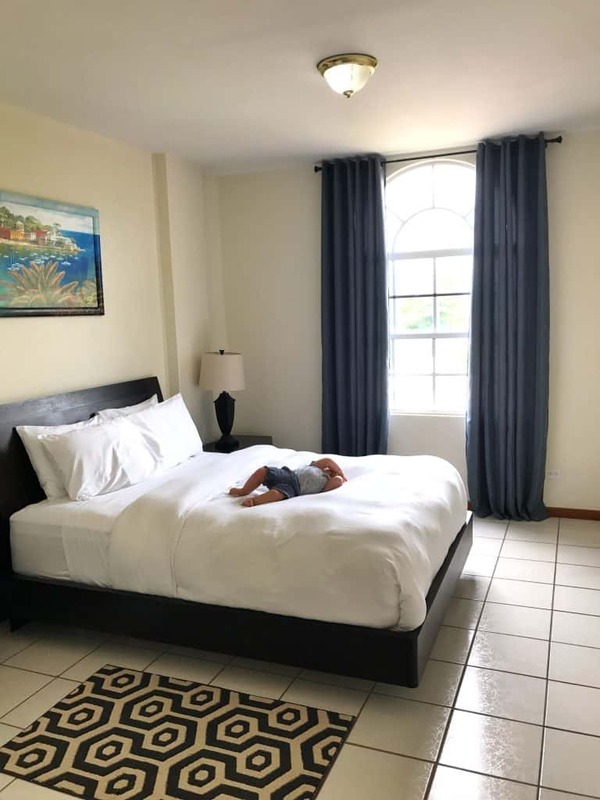 Whilst we were in Hopkins, we stayed at Belizean Dreams. We stayed in a large family room right on the beach. They had lots of activities onsite such as kayaking and beach games. There was also organised local trips to tube in the caves, hike to waterfalls in Bocawana National Park and island hopping. They have a sister resort named Coco Plum which is quite literally like a paradise island. The snorkelling and island hopping excursions are run nearby with a pitstop for lunch at Coco Plum. At the most northerly point of Hopkins there is a community Garginua drumming school. It’s predominantly for local kids as an extra curricular activity. However, they also give tourists a lesson if they are interested. We all went and I found it so interesting. It unfortunately didn’t hold our daughters attention for the entire time but I think if she was a year or so older it would have been great for her. They finished off with a performance for us. I find it so incredible that they can create such good beats with only a couple of drums and a pair of macarena’s. Last but not least, Toledo! When we told some locals in Cayo and Hopkins that our last stop was in Punta Gorda, they all asked why are you going there? Two words – hidden gem! Before our trip we reached out to the Belizean Tourism Board to ask for advice. They recommended I get in contact with Bruno, a local guide. Given he won Tour Operator of the Year just the other day, I guess they were not wrong. I met up with Bruno for a private tour. It was super rainy on the day so we chatted a lot and I felt truly educated by the end! When I said I met some really interesting people during our time in Belize, Bruno is most certainly one of them. He is a German man that has lived so long in Belize, he 100% has the communities respect and appreciation. I loved watching him interact with different people he introduced me to. He kept referring to me as Ms Karen, a common way all the locals address each other, so formal but endearing. Bruno is pretty special. He knows about a number of sites that not even the locals know about. There are only five documented caves in many of the travel books around Toledo. However Bruno knows of up to 15 and regularly takes tourists there. 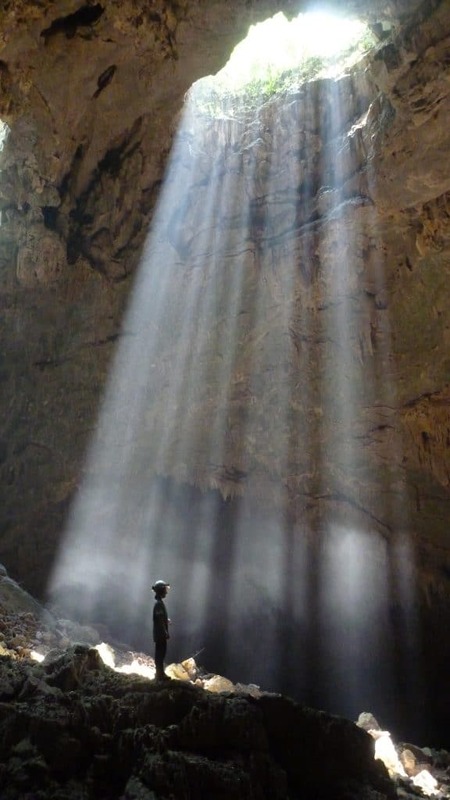 He can pretty much guarantee those on his tour will be the only people in some of the caves. Besides from cave discovering, there is plenty of other things to do around Toledo. Everything from cultural, to adventure and hands on craft experiences exist. Bruno offers group and private tours so its definitely worth looking him up. We spent an afternoon with Ms, Bo, a traditional Mayan homemaker. She took us into her home to teach us how to make corn tortillas from scratch. 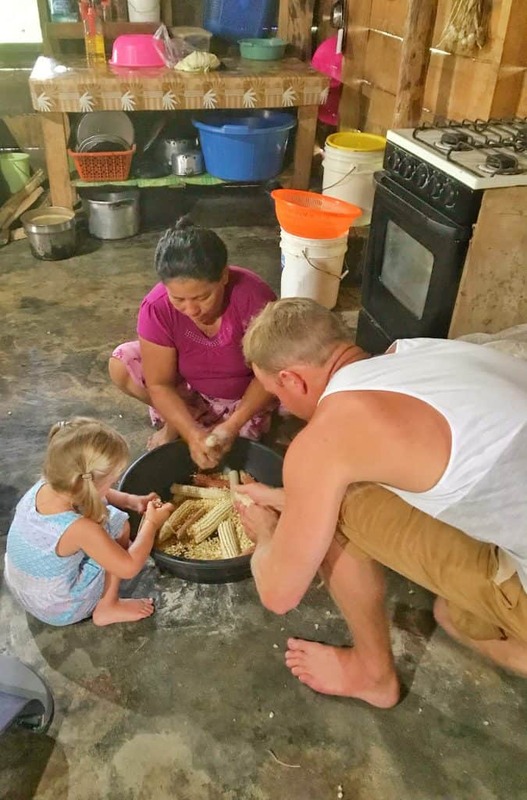 It was quite an authentic experience and insightful seeing how much elbow work goes into preparing the corn. There was lots going on outside the home as her husband had just collected a pig to slaughter. I found that part quite full on but it was interesting seeing how they live. The small and vibrant coastal town has a market that takes place twice a week. All of the farmers and people from the surrounding area come to sell their produce. Many of the locals say its the best time to visit. Everyone knows everyone. It was great to visit with Bruno, I got a feel for how they all interact. 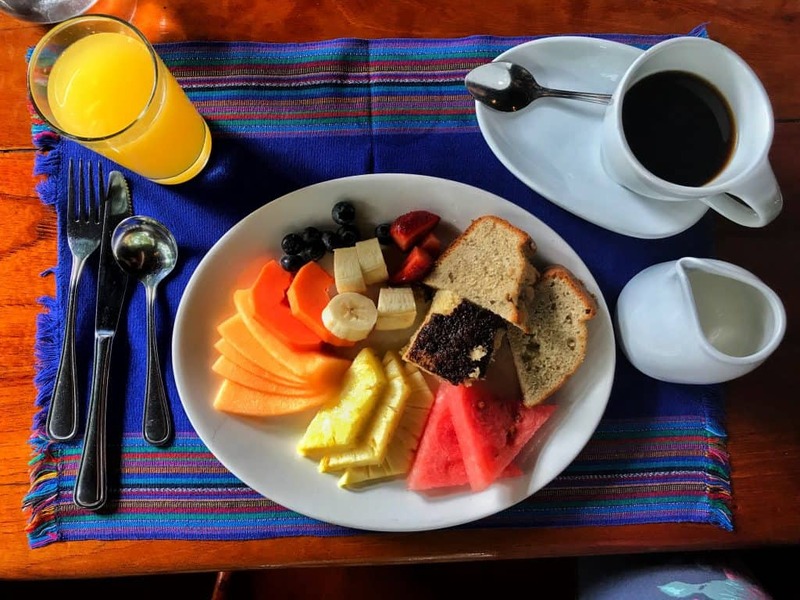 There are many little restaurants to eat and there is also a ferry that takes passengers across to Guatemala within 45 minutes! 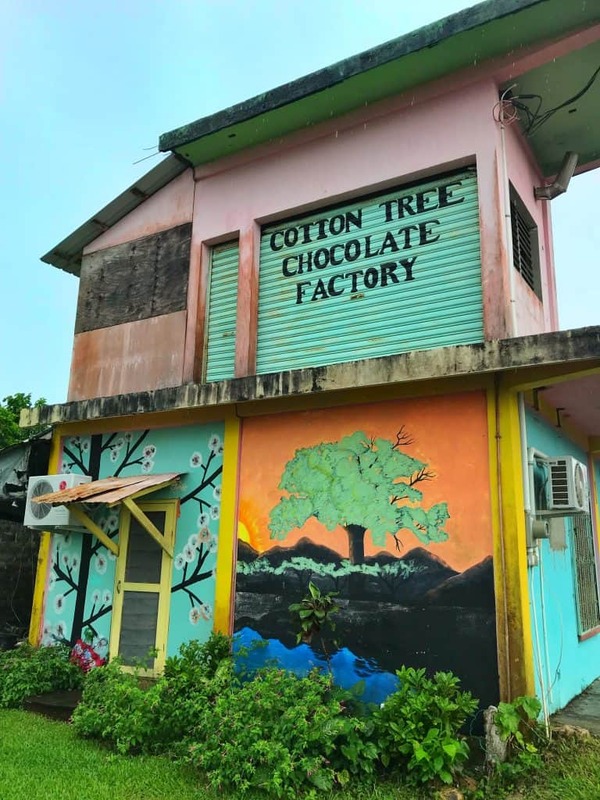 If you are a chocolate lover, like me, you have to visit the Cotton Tree Chocolate Factory. They show visitors the process of making chocolate form scratch and provide tastings along the way. Funnily enough, we stayed at the Cotton Tree Lodge, about an hour into the jungle from Punta Gorda. The little chocolate factory belongs to the same owner. There is no beach in Punta Gorda, however the water is beautiful and calm. I can imagine its quite good for fishing if they get conditions like that all the time. The company Yellow Dog take tourists out fishing regularly. My husband was so disappointed to have only found out about this tour the day before we left. Especially as they also offer diving to some hidden gem spots. We met with the Warasa Garifuna Drum School leader, Ronald. 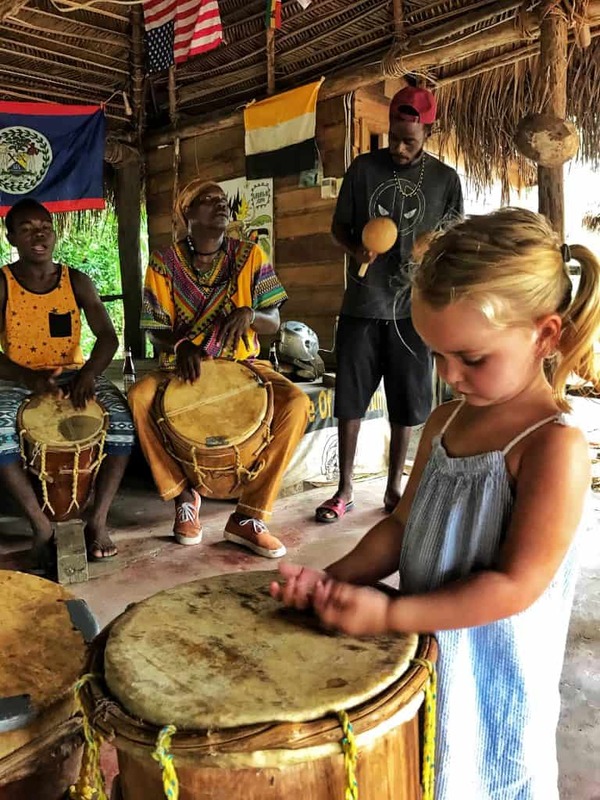 Similar to our experience in Hopkins, they provide tourist drumming lessons. The great thing about these guys is they are internationally recognised and have won a number of awards. So if you are planning to take a lesson somewhere in Belize, this is probably the best place to do it. On the whole, I felt very safe in Belize. However, its always important to keep our little family safe and protected with travel insurance. We use World Nomads that have a great reputation. 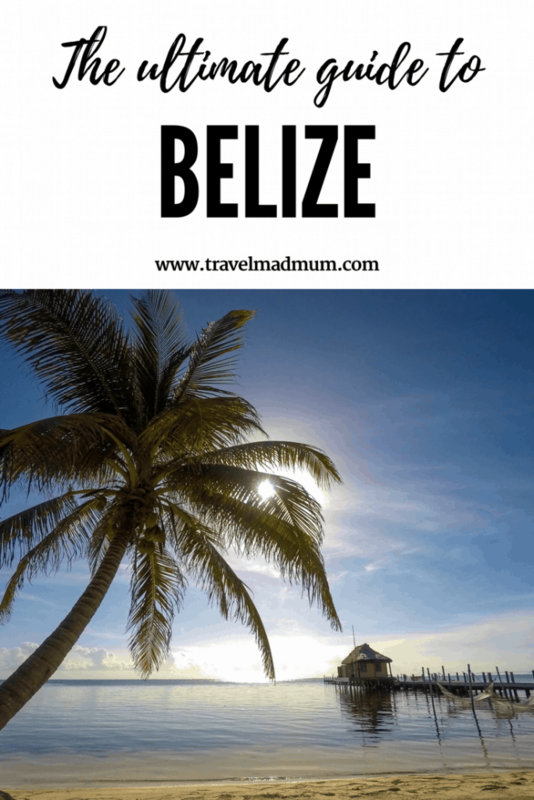 Have you found this guide to Belize helpful? Please leave a comment, I love to hear from you. Disclaimer: This post has affiliate links. By using them, we get a few pennies towards our travels without any extra cost to you. We partnered with multiple resorts whilst in Belize. As always, all views expressed our entirely my own. I’m so happy you enjoyed Portofino! It’s my happy place! ? I have been there every year for the last 5 years in a row. I really enjoyed reading about other parts of Belize. One of these days I will make it past Portofino. Lol. Maybe…. Fascinating to read about Belize and wow, you packed so much in. 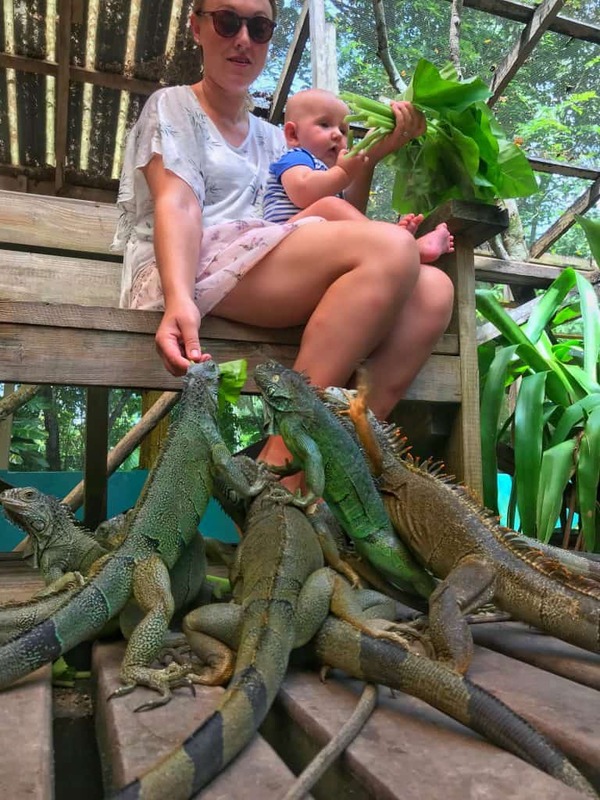 Iguanas, chocolate, horse-riding – brilliant photos too, especially the one with the iguanas at your feet. This is such a helpful (and tempting!) post. I like the way you explained how you would do things differently – and packed so much in! 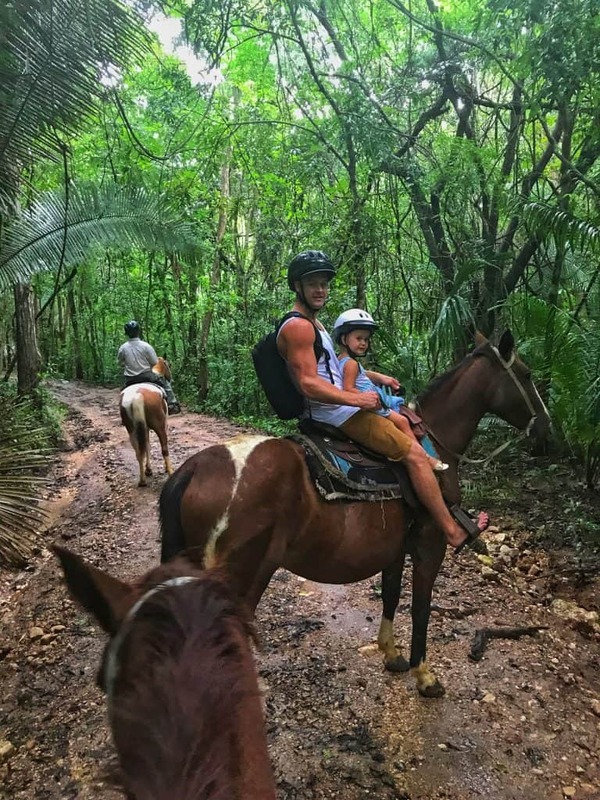 Horse trekking through the jungle would be my idea of heaven, and the children would be beside themselves over those iguanas. I am really surprised that Belize remains relatively untouched by tourism thus far. It has so much to offer. My colleague went there for her honeymoon and I went green with jealousy. Great post. You made me want to visit all over gain. Hi Karen – it was nice to meet you briefly when you were in PG – I hope you come back one day and enjoy some Garinagu drumming, dancing, drum-making or all three at Warasa :-). Belize is one of my top destinations for 2018! This guide just made me even more determined to make sure next year is the year it finally happens. Beautiful photos! Absolutely loved keeping up with your Belize adventures on Instagram. 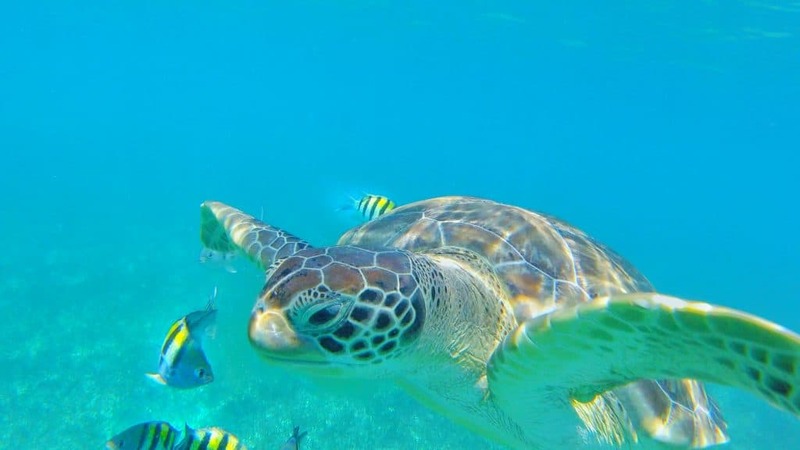 This is a great post – Belize is certainly climbing my “must visit” list and I can’t get over that amazing photo of the turtle! 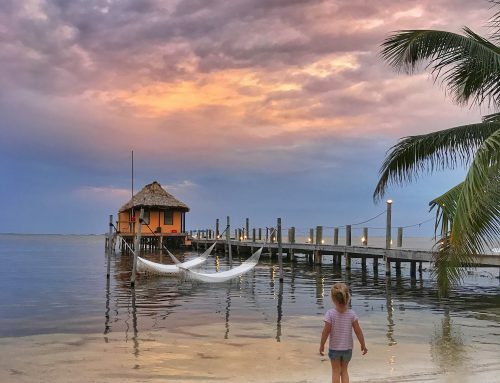 We’ve discussed Belize as somewhere we would really really like to go – and now your post has just moved it right to the top. Oh wow what an absolutely incredible trip for you all. Life changing I’m sure. I love the sound of the conservation project with the iguanas. 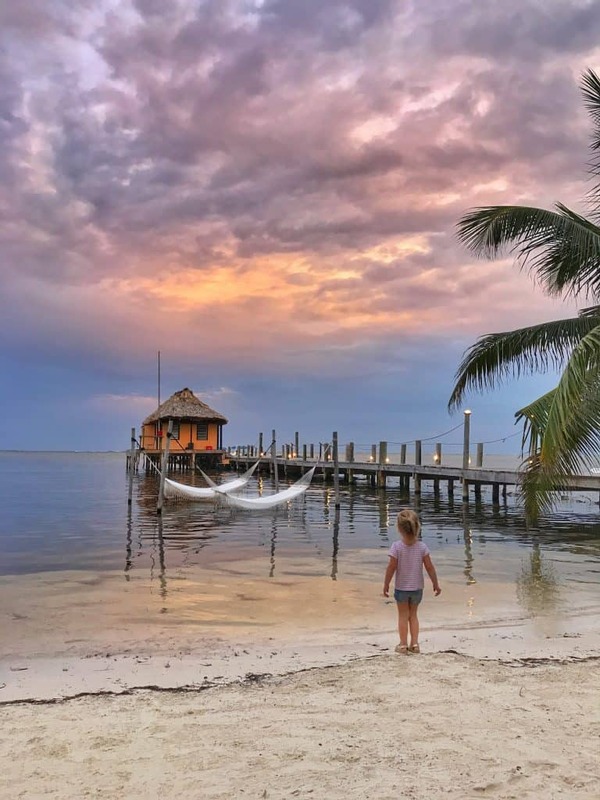 Having never considered Belize before for a family holiday I am seriously questioning why! !